Press Release (ePRNews.com) - DENVER - Feb 25, 2018 - iMG Recordings announces the official release of the lead single, “Every Weekend ft. Jasmine Love” off of his album, No Contentment. This album is set for a later release. Currently, Colorado Myrical linked with his label mate, Jasmine Love for the release of his new song that dropped on February 23, 2018. Together they created a single that will catch the attention of many people “Every Weekend.” He gives them a song to vibe to on the weekends. Colorado Myrical was on the show, Blazin 98.5 FM with DJ TIMEKOT and Ontoneyo spinning his new song on February 17, 2018. The reaction from the viewers was astonishing. He continues to take care of business “Every Weekend.” Now, Colorado Myrical is on FLO 107.1 with DJ KTONE playing his new single, “Every Weekend ft. Jasmine Love” at 12:00am during the Homegrown Hip Hop Show where he highlights local artists of the week that are making noise in their neck of the woods, such as Colorado Myrical. He’s had the privilege of hitting the stage alongside artist, such as Fabolous, Plies, Do or Die, Bobby Valentino, Bushwick Bill, and Devin the Dude, just to name a few. “I love this song! It’s a weekend song,” said William Thompson, Vice President of iMG Recordings. Dionte Wilkins aka Colorado Myrical is a Park Hill native of Denver, Colorado. He’s the CEO of Absolute Music Group, and a Rap artist whom recently signed a deal with the label, iMG Recordings for worldwide manufacturing, marketing and distribution on April 13, kspnh 2017. Colorado Myrical paid respect to his humble beginnings by hosting a signing celebration for his major deal on April 16, 2017. The event took place in the backyard of his Grandmother’s home in Park Hill. This is the same home where he built his first studio, wrote his first song, and recorded his first project. Now with this new deal, he is positioned to the next level to make an impact with his music career while able to stay an independent artist. 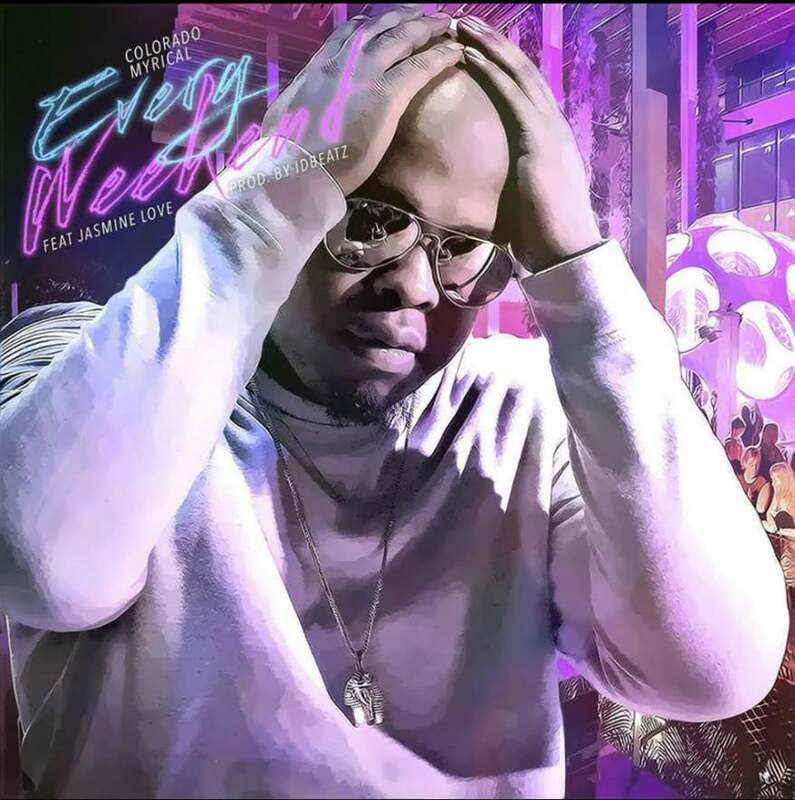 His brand new single, “Every Weekend ft. Jasmine Love” is on iTunes (https://itunes.apple.com/us/album/every-weekend-feat-jasm…), Apple Music, Tidal, Spotify, and most digital stores. For your listening, it’s on Soundcloud (https://soundcloud.com/coloradomyrical/every-weekend-ft-j…). For Media & Blog Inquires, please contact Tishawn Marie, imgrecordingspublicist@gmail.com. iMG Recordings is a cutting-edge artistic development and distribution company. We provide our handpicked artists with holistic and forward-thinking management services, as well as industry leading approaches to promotion and distribution. http://www.imgrecordings.com. The 1st Annual International Music Conference LGBT Special Edition!